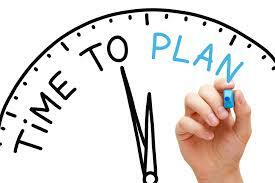 You should allow yourself a couple of months to write the plan, even if it’s only a few pages long. Developing the plan is the “heavy lifting” of marketing. While executing the plan has its challenges, deciding what to do and how to do it is marketing’s greatest challenge. Most marketing plans kick off with the first of the year or with the opening of your fiscal year if it’s different………………..